Andrew Douglas-Clifford, who is in his early twenties, used a range of resources to put together an online map and poster giving New Zealand places and natural features the te reo Māori names bestowed by the indigenous people. 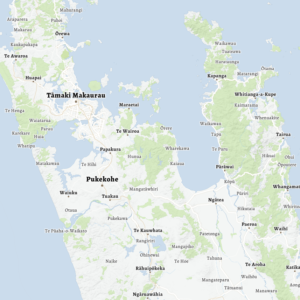 He spent months creating the detailed, interactive online map that offers Māori names for towns, cities, lakes, notable mountain peaks, rivers, bays and international cities and countries. The map on his Map Kiwi website also shows marae locations around the country. You can read more about his work, or listen to an audio version of the story at the Radio New Zealand website. The 29th International Cartographic Conference will take place in Tokyo, Japan, 15–20 July 2019. The Organizing Committee of ICC2019 invites all interested participants to submit full papers or abstracts for the oral or poster presentations. Join and share the latest innovations and developments in mapping techniques, technological advancements, and current research in cartography and GIScience. Conference themes and topics are listed, but not limited to, below. 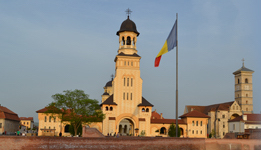 The event is a unique experience to exchange ideas and encourage collaboration with colleagues from academia, government and industry. All submissions will be reviewed by the International Scientific Committee. All accepted submissions will be published as the Advances in Cartography and GIScience of the ICA, Proceedings of the ICA, or Abstracts of the ICA. Selected papers will also be published in the International Journal of Cartography. All details and the submission form can be found on the ICC website: icc2019.org/papers.html. 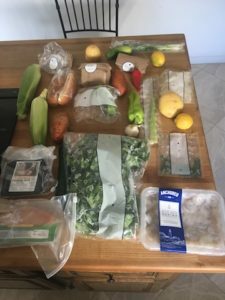 Meal kit delivery is relatively new, but the concept has spawned fierce competition in the last six years. With a raft of similar companies vying for the same customers, the pressure is on for branding teams to make sure their company stands out from the crowd. That process starts with the company name. And for those of us outside of the meal kit industry, looking at an entire category like this provides great naming lessons for how to differentiate our brands. Of course, in its branding and marketing, each company conveys messages beyond what’s obvious from the name. Most of those are common to the category: farm-to-table freshness, great taste, healthful eating, sustainability, ease, convenience. But focusing on the names themselves yields plenty of choice branding morsels. At Marketing Profs, Mark Skoultchi of the naming firm Catchword dives into the meal kit naming world and provides five takeaways from the naming of meal kit brands. Click through to get some tasty naming naming lessons! “View looking northwest from Anacostia: [Washington D.C.],” John L. Trout, 1901. Geography and Map Division, Library of Congress. The Residence Act of 1790 created a national capital, known as the Federal District, from portions of Maryland and Virginia, centered on the convergence of the Potomac and the Anacostia rivers, which are names derived from the Algonquian Native American language. In 1791, President George Washington appointed Major Pierre Charles L’Enfant to develop a plan for the new city. 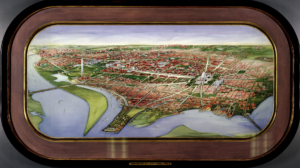 This resulted in a map, now famously known as the L’Enfant Plan, an enhanced version of which can be seen below. L’Enfant does not name the new city in his map, but within his layout of streets, marked by circles and diagonals, he shows locations for the “President’s House” as well as the “Congress House.” It even has a “Grand Avenue” on the site of today’s National Mall. Want to know more? Click through to read it all at the website for the Library of Congress! Registration is now open for the 2019 ANS Conference in New York City, NY. 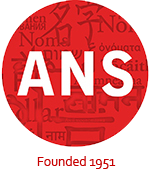 The ANS conference will take place in conjunction with the Linguistics Society of American (LSA) Conference from January 3-6, 2019. LSA Registration is now open! Go to the LSA Meeting page to register. You must be a member of the LSA (as well as the ANS) in order to attend. You can also reserve your room at the Sheraton in New York City via the LSA. Use the LSA link to receive a special discounted room rate. Once your membership is up to date, you can register online here, or download a PDF of the Conference Registration Form and mail it to ANS Treasurer Saundra Wright, as per the instructions on the form. 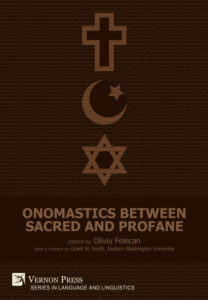 Vernon Press announces publication of the volume Onomastics Between Sacred and Profane, edited by Oliviu Felecan, part of the Vernon Series in Language and Linguistics. A free sample of the book is available as a PDF download, containing the Table of Contents, the Foreword, the list of Contributors, the Preface and the Indexes. Religiously, God is the creator of everything seen and unseen; thus, one can ascribe to Him the names of His creation as well, at least in their primordial form. In the mentality of ancient Semitic peoples, naming a place or a person meant determining the role or fate of the named entity, as names were considered to be mysteriously connected with the reality they designated. Subsequently, God gave people the freedom to name persons, objects, and places. However, people carried out this act (precisely) in relation to the divinity, either by remaining devoted to the sacred or by growing estranged from it, an attitude that generated profane names. The sacred/profane dichotomy occurs in all the branches of onomastics, such as anthroponymy, toponymy, and ergonymy. It is circumscribed to complex and interdisciplinary analysis which does not rely on language sciences exclusively, but also on theology, ethnology, sociology, psychology, philosophy, anthropology, geography, history and other connected fields, as well as culture in general. Despite the contributors’ cultural diversity (29 researchers from 16 countries – England, Finland, Germany, Hungary, Italy, Japan, Jordan, Kenya, Nigeria, Poland, Romania, Russia, South Africa, Spain, U.S.A., and Zimbabwe – on four continents) and their adherence to different religions and faiths, the studies in Onomastics between Sacred and Profane share a common goal that consist of the analysis of names that reveal a person’s identity and behavior, or the existence, configuration and symbolic nature of a place or an object. If you would like to order a copy through the publisher, you can get a 24% discount using coupon CFC7736DFEE at Vernon Press. You can also order this book on Amazon. The Unit for Language Facilitation and Empowerment at the University of the Free State (UFS), in partnership with the Joint IGU/ICA Commission on Toponymy, is pleased to announce the next biannual international symposium on place names. 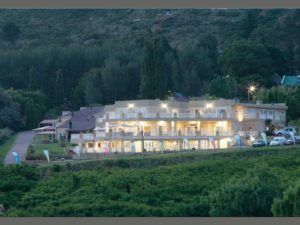 The 5th International Symposium on Place Names: Recognition, regulation, revitalisation: place names and indigenous languages will be held at Mont d’Or Hotel, Clarens, South Africa, 18-20 September 2019.
processes of researching, maintaining and restoring indigenous place names, as well as the preservation and promotion of the indigenous languages from which these place names originate. The first call for papers will go out in November 2018. 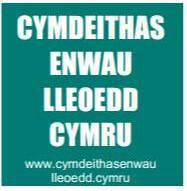 The announcement can be downloaded as a PDF here.